How to set up remarketing campaigns in Google AdWords is a question most marketers ask. 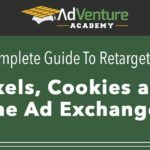 In this video, I walk you through the retargeting ads process from a technological perspective, and you’ll get a deeper understanding of what retargeting is and how it works. Retargeting works by placing a smart pixel on your website or landing pages. AdWords provides you with your remarketing pixel, and third party remarketing providers like AdRoll and Criteo will also provide you with your remarketing pixel to be placed on your site. The retargeting pixel on your site will drop a cookie on your visitors‘ browser. Through the process of cookie syncing, you will be able to target your previous website visitors and show them ads as they continue to browse the web based on their previous behavior on your website. Retargeting ads are one of the most effective ways to advertise your products and services and to get your abandoning website traffic to come back to your site and convert at the right time and with the right message. Retargeting ads with Google AdWords remarketing campaigns are an excellent way for you to increase the effectiveness of all your marketing campaigns.